In the last 10 years, the usage of Virgin Oil de Coco-Crème® evolved from being a versatile natural oil used for numerous different applications into more specific usage and purposes. Hence the Virgin oil de Coco-Crème® product series, which due to its unique characteristics and molecular purity is designed for specific uses. Organic, bio-pure, raw, premium, gourmet. Introduced in 1998, this was the first virgin coconut oil in the market and it remains unequaled. It has a unique balance of lauric, capric, and caprylic fatty acid distribution: an important part of lipid nutrition. It is the “bio-force” form of medium chain fatty acid (MCFA), known for its antiviral, antifungal properties. Virgin Oil de Coco-Crème® is produced by exclusive technology of cold centrifuge series™, using freshly extracted organic coconut milk without using heat, fermentation, drying, chemicals or any additives. The Cold Centrifuge Series captures the healing properties and functional characteristics of pure coconut oil, which sets Virgin Oil de Coco-Crème® apart from typical extra virgin coconut oil. Virgin Oil de Coco-Crème® is a true virgin coconut oil: a product of science, nature and holistic principles. Coco-de-Crème™, Cell Pure is 100% Virgin oil de Coco-Crème®, but with one extra step of processing. A high pressure vacuum is used, primarily for partial deodorization. 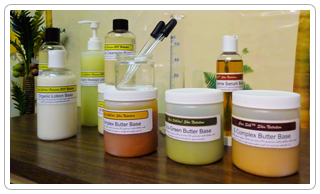 It results in a partially deodorized- to almost odorless- Coco oil, which is truly coconut oil in cellular level. 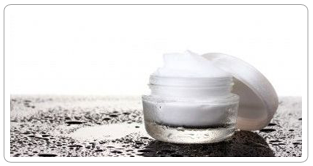 Coco-de-Crème™, Cell Pure is ideal for nutraceutical, bio-pharmaceutical, medical foods, and high-end personal care applications. Coco-de-Crème™, Cell Pure is available in a consumer pack in amber dark glass. It is also available as a bulk raw ingredient. Coconut Nutri-Oil was first formulated and manufactured in 2007 and is currently being supplied exclusively to nutraceutical and bio-pharmaceuticals. Typically Coconut Nutri-Oil™ usages include (but are not limited to): as an energy source, a capsule coating, and a viscosity modifier. Unlike the original Virgin Oil de Coco-Crème® and its other derivatives, Coconut Nutri-Oil™ is liquid at room temperature. The key advantages of Coconut Nutri-Oil™ are its liquid form and its even distribution of capric, caprylic, and lauric acids. Coconut Nutri-Oil™ can be used as a salad oil, as a creaming oil in smoothies and in raw gourmet preparation. See fatty acid profile. The functionality of Virgin Oil de Coco-Crème® in personal care product application is brought to a different level in Huille de Coco-Crème™. We take the original Virgin Oil de Coco-Crème® and partially deodorize it, partially winterize it and fortify it with specialty oils for synergistic effect. This is a 100% natural product created with no harmful additives or artificial components. The high stability of Virgin Oil de Coco-Crème® as a main component make this product preservative free for non-water base product. Huille de Coco-Crème™ is available both in consumer and professional packages.